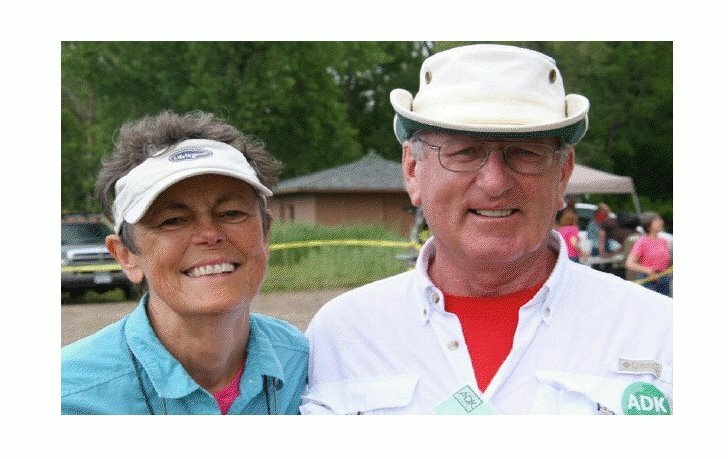 Donald Wheeler (pictured with wife Mary) joined USAPA as an Ambassador for Hilton Head Island, SC just nine months ago. At that time he told us: "I feel that offering free lessons with free use of equipment (we have enough for 8 people) as well as free court time, a consistent play time, both in the morning and evening on different days to accommodate the working and retired populous, would generate interest in the sport on HHI." Don has introduced pickleball to players from all over Hilton Head and now maintains a “pickleball roster” consisting of 60 players . He schedules weekly play times at the nearby county courts. 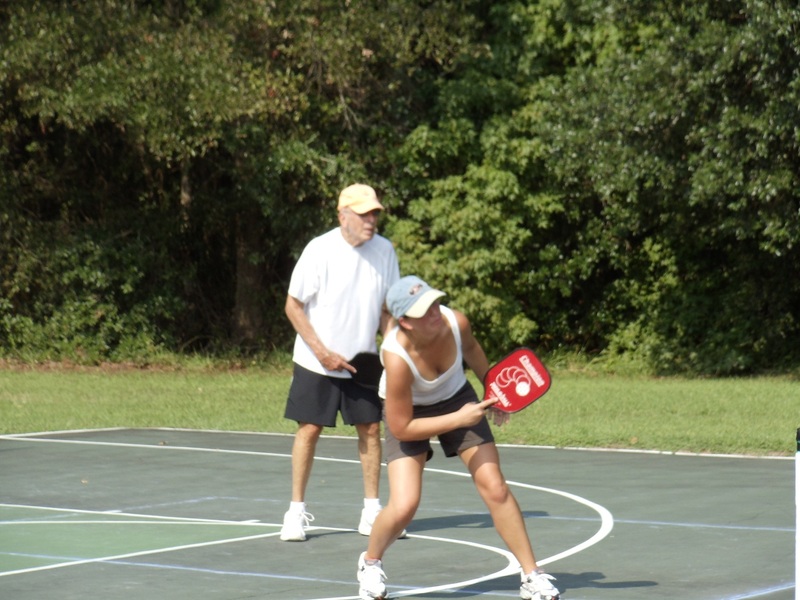 The players from Hilton Head Plantation, a private community where Don resides have even started their own “resident only” pickleball club. Because the tennis courts at the plantation are clay, this club also has to make use of the nearby county courts. Visitors to the island are also welcome to play. We have a resident population of about 30-40,000 on Hilton Head Island but we get 2 million visitors per year!! I have welcomed and scheduled play for many visitors. The "Places to Play" section of the USAPA website has been very useful to our visitors and residents alike. We don't specifically list the courts we play on because that may change depending on where the tennis players converge. 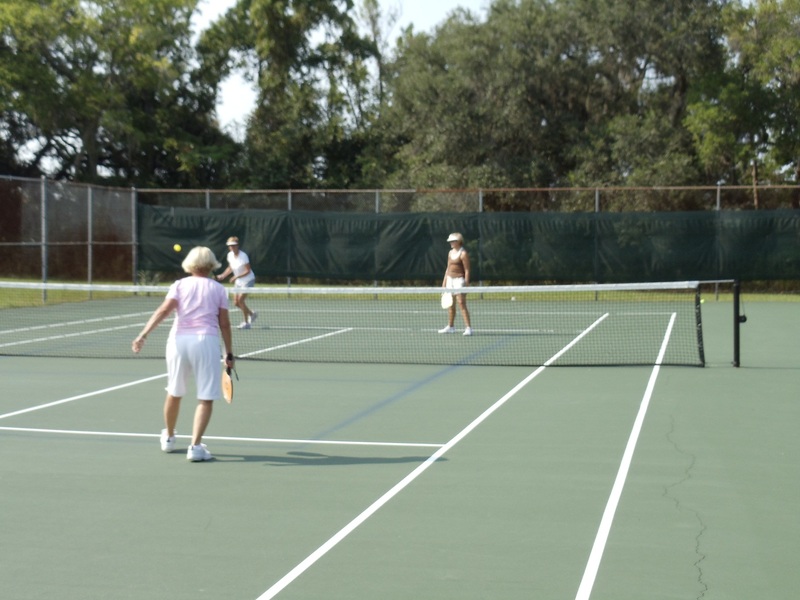 Hilton Head Island, historically, has hosted the "Family Circle Cup" tennis tournament until a few years ago. There are still many devoted courts that can be used only for tennis and some that are reserved for for tennis practice sessions during the spring. Bus loads of "Spring Fling" college students converge on the island and expect to be able to use all the courts on the island, from sun-up to sun-down, during that time. No exceptions. Last month we welcomed Marsha and Boyd traveling from Atlanta to Tampa where they play every day. This week we'll have people from Oconomowoc, Wisconsin, Vienna, Virginia and Sweden. In the near future we will poll the people on our roster, all sixty of them, to determine if we should schedule some play at other courts in addition to where we are playing now to accommodate players from the south end of the island and also later in the day for those that are still employed." It takes just one person to get the "pickleball" rolling, and Don has done one fantastic job proving just that. Give Don a call when you're in the neighborhood and stop by for a game or two! Where can i play pickleball as a guest on the island?